Enjoy the best inspirational, motivational, positive, funny and famous quotes by Arnold Gehlen. Use words and picture quotations to push forward and inspire you keep going in life! 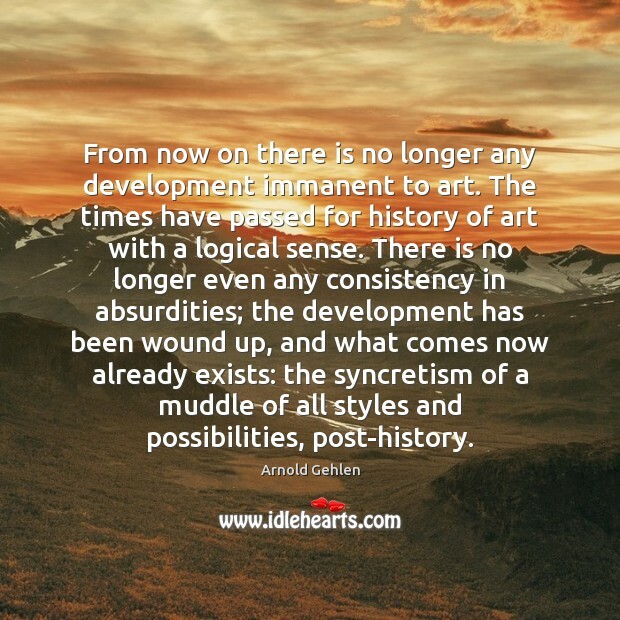 From now on there is no longer any development immanent to art. The times have passed for history of art with a logical sense. There is no longer even any consistency in absurdities; the development has been wound up, and what comes now already exists: the syncretism of a muddle of all styles and possibilities, post-history.